the last 125 years, American grassroots campaigns have forced legislatures to pass laws on women’s suffrage, social security, civil rights, wilderness, clean air and clean water. In each of these campaigns public opinion was mobilized to compel elected officials to pass measures politicians and corporations abhorred. Although all these campaigns used similar strategies and tactics, yesterday’s proven organizing methods are rarely found in today’s campaigns, except in vanishingly diminished form. change the way a majority of a jurisdiction’s voters view the issue. use barnstorming, traveling educators and speakers to educate those voters. have charismatic leaders who care more about the issue than life itself. never involve foundations or nonprofits because controversial change means fighting corporations or doing electoral politics; “grantees” usually aren’t permitted to do either. establish active local organizations in numbers appropriate to the geographical scope of their issue, with dues-paying members, officers, meetings, newsletters, and programs. The movements for prohibition and civil rights show the differences between campaigns that change voters’ views and those that don’t. In 1919, the 18th Amendment outlawing alcoholic beverages was passed after a long, successful fight by a national grassroots campaign against alcohol, which began before 1900. Its leader was Wayne Wheeler, a master organizer who was for a time the most powerful political person in the U.S.
Prohibition’s first important success was the defeat of 60 incumbent legislators in Ohio who refused to support state prohibition legislation. The victory showed the country that politicians who did not support prohibition could be defeated in primaries. The campaign proved—better than any other grassroots campaign ever conducted—that if you make legislators afraid of losing their jobs, you can pass anything, even legislation they oppose. But prohibition’s subsequent repeal in 1933 reflects its flaw. It never fundamentally altered the majority American view that drinking was OK. In fact, more people drank after prohibition than before. A similar thing happened with the civil rights movement in the 1870s, which produced the 14th and 15th Amendments of 1868-1870 that gave blacks the right to vote. After these amendments passed, about 2,000 black people were elected to public office in the Deep South, including 14 congressmen and two senators. But white people after the Civil War, including many abolitionists, still believed in white supremacy. So, beginning in the 1880s white terrorist groups began murdering blacks who held office or tried to vote. By 1900, black voters and black elected officials had been eliminated throughout the South, although the amendments giving them the right to vote were still on the books. Prohibition and the civil rights amendments changed laws without changing public opinion. These laws were simply ignored, as are most laws which lack public support. However, in the 1960s Martin Luther King began a grassroots civil rights educational campaign that persuaded a majority of voters nationally that blacks should have the same rights as whites. Only then were civil rights laws passed that a majority of the country would allow the government to enforce. Successful grassroots campaigns (such as those for Social Security, women’s suffrage, Earth Day and Adirondack wilderness), all recruited huge numbers of traveling speakers. (See Chapter 10. THE GOLDEN AGE OF GRASSROOTS WILDERNESS POLITICAL ORGANIZING: The Black River Dam Wars for how the Adirondack wilderness campaign was conducted.) Movements which made permanent legislative and social change engaged in massive public information campaigns on a scale nearly impossible to imagine today. The thousands of Townsend clubs, which organized to pass the original Social Security law in 1936, had millions of members. The women’s suffrage cause was promoted by tens of thousands of speakers. Earth Day in the ’70s organized thousands of schools and involved tens of millions of people. A hero of the women’s suffrage movement, Inez Mulholland, in the days before airplanes, once gave 30 speeches in seven states in 16 days. And she did this while suffering from tonsillitis. All the great grassroots movements have had charismatic leaders with a gift for organizing. Colonel Francis Townsend for Social Security, Inez Holland for suffrage, Martin L. King for civil rights, and Denis Hayes for Earth Day. 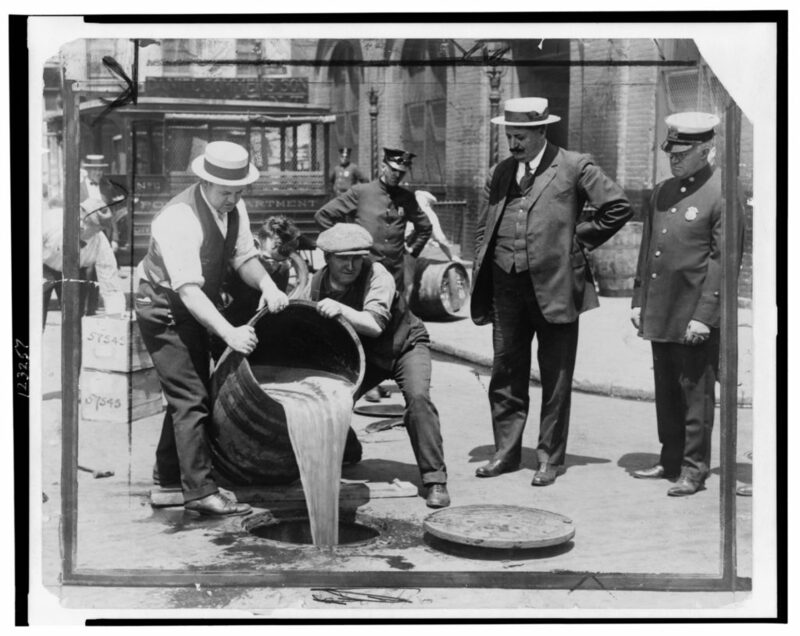 Prohibition was essentially the product of one man, Wayne Wheeler. The modern anti-toxics movement was created by Lois Gibbs, a 27-year-old suburban mom with a high school education and no organizing experience. The present protected state of the Adirondack wilderness is essentially due to the grassroots organizing efforts in the 1950s of carpenter Paul Schaefer. A good example of the average person leading a successful campaign was Townsend, a retired doctor in Long Beach, California, who became upset by the poverty he saw all around him in the 1930s. He did not apply for grants or create a 501(c)3 nonprofit; he just created a newsletter and began to organize his neighbors. His small initial efforts spread to a national movement that led to the passage of the original Social Security Act three years later. Of the 200 or so recent successful environmental campaigns I have personal knowledge of, only one or two have been led by people with professional training in ecology or biology. However, in almost every campaign, the opposition always employed “-ologists.” Successful campaign leaders are generally average people who, before becoming involved, were not particularly political, or liberal or progressive or trained scientists or professors of public policy. The best leaders and working members of successful grassroots campaigns are ordinary everyday people. Real change usually involves opposing corporations, doing electoral politics, or both, and you can’t do either as a nonprofit or when funded by a foundation or an NGO. Nonprofits and foundations are fine for issues like public health, children’s reading programs, expanding farmers markets or other issues where there is no serious political resistance, no underlying societal issues are addressed, and no powerful financial interests are involved. Foundations usually avoid funding grassroots organizers, even though all successful campaigns must have them. Usually foundations fund effective grassroots groups in just one situation: to acquire them in order to control “the seat at the table” that the grassroots group has already earned. Most foundations never truly defeat the opposition; their “wins” are later reversed, or they merely move a problem from one place to another. The expenses of successful campaigns have almost never been borne by nonprofits or foundations. Mark Dowie’s book, American Foundations, explains the problem with foundations: their primary job is not to fund good causes but to protect their endowments. Also, nonprofits cannot engage in direct electoral activity, but most social, economic and political problems can only be solved through electoral politics and voting. The foundation/nonprofit industrial complex, which has developed in the past 75 years, put an end to grassroots campaigns by directly or indirectly placing them under the control of large corporations. If one was to set up a civic model that guaranteed powerful interests would never be seriously challenged, you could not do better than create our present system. All the nonprofits that support environmental, social justice and democracy furtherance are forbidden to engage in politics. Most of them are funded by discretionary competitive grants awarded in secret processes by foundations whose main responsibility is to protect their endowments, which consists of stocks in corporations. This places all nonprofits in competition with each other for funds when they should be cooperating. Finally, most people who want to improve society don’t have the time and resources to become involved in politics, legislation, or elections. But corporations, banksters and lobbyists can fund politicians and political campaigns to an unlimited extent. [1 Mark Dowie, American Foundations, an investigative history (Cambridge, MA: MIT Press, 2001).